CHICAGO -- Volkswagen of America is bidding auf Wiedersehen to ad agency Crispin Porter & Bogusky after a four-year run despite a rise in U.S. market share and a comparatively soft sales decline vs. competitors. The company, which has boosted its U.S. share to 2 percent through July from 1.6 percent a year earlier, said today it is seeking a new U.S. agency of record for its $200 million-plus account. "Our goal of rapidly increasing our volume in a mature market requires the Volkswagen brand to evolve into a more relevant mainstream choice," Tim Ellis, vice president of marketing, said in a statement. The company plans to triple annual U.S. sales of VW, Audi and Bentley models to 1 million units annually by 2018 as part CEO Martin Winterkorn's drive to overtake Toyota Motor Corp. and General Motors Co. and become the world's largest automaker. "The Volkswagen brand needs to inspire our base of enthusiasts as well as reach out and captivate those in mainstream America," Ellis added. "Therefore, we are re-evaluating all areas of our business and after careful considerations have decided to take the necessary steps to ensure we have the right agency partner in place." Through the first half of the year, the German parent company was just 464,000 sales behind Toyota, cutting the lead by more than 1 million sales in 12 months. In addition to winning a long-running takeover battle for Porsche, the automaker has added former Fiat marketing chief Luca De Meo as global marketing chief. U.S. sales for the VW brand have dropped 13.5 percent this year through July in a market that's down 32.1 percent. Search consultancy Roth Associates will run the review. In a statement, a Crispin spokeswoman said the agency would decline VWs invitation to defend the account. Crispins work for VW was often controversial and occasionally bizarre, with characters such as the lab-coat-clad Helga and taglines such as Find your fast and Unpimp mein auto. One series of jarring ads meant to emphasize safety showed a serene conversation in a car jolted without warning by an unforeseen collision. Another featured a painfully awkward German hip-hop singer. The agency also enlisted Brooke Shields as a narrator supposedly perturbed about families having children just to have an excuse to buy a Routan minivan, which VW also sold to soccer fans with a viral campaign mocking soccer moms. More recently, ads have featured a vintage VW bug hosting a late-night-style talk show. 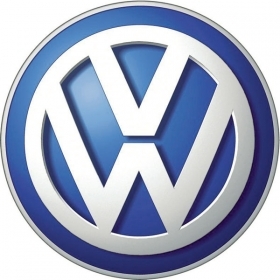 VW spent about $205 million on U.S. measured media last year, according to TNS Media Intelligence.